he United Religious, Military and Masonic Orders of the Temple and of St. John of Jerusalem, Palestine, Rhodes and Malta in England and Wales and Provinces Overseas. 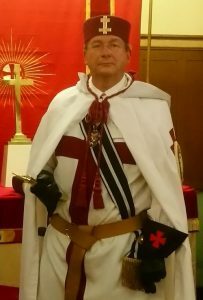 The masonic order of the knights templar contains three impressive ceremonies. Admission into a preceptory as a Knight of the Order entails the symbolic undertaking of a period of pilgrimage, before being armed and clothed as a ‘Soldier of the Cross’. Later, a period of symbolic penance and meditation leads to confirmation as a Knight Templar. 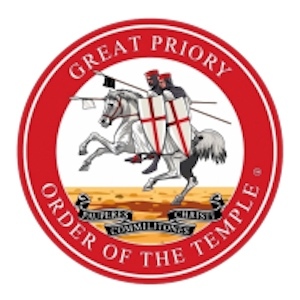 The Order is headed by the Most Eminent and Supreme Grand Master and there are over 600 Preceptories on the Roll of the Great Priory of England and Wales and Provinces Overseas. The Provincial Priory of Northumberland meets twice a year, in March (Malta meeting) and September (Annual General Meeting). The two most famous Western Christian military Orders of the Middle Ages were the Knights Hospitaller and the Knights Templar. The former was charged with the provision of care for poor, sick or injured pilgrims to the Holy Land, whilst the latter offered military protection against the marauding bandits and highwaymen that preyed upon the pilgrims as they made their way from the port of Jaffa into the interior of the Holy Land. Suppression of the Templar Order in the early 14th Century eventually led to its dissolution, with the incorporation of the remnant Knights into the Hospitallers. By the late 18th Century the Hospitallers themselves fell into abeyance following the political upheavals in Western Europe, though they enjoyed a resurgence in the mid-19th Century as the Sovereign Military Order of Malta. If you are interested in joining this very prestigious order then get in touch with the Provincial Vice Chancellor via the Knights Templar website. You can find a list of Knights Templar Preceptories here.